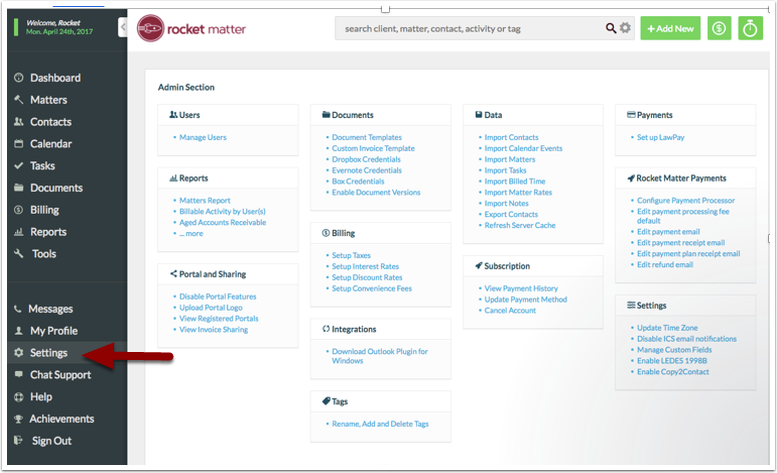 Rocket Matter Knowledge Base LexCharge Integration - Credit/Debit Card ProcessingHow to 'Edit a refund email' template. 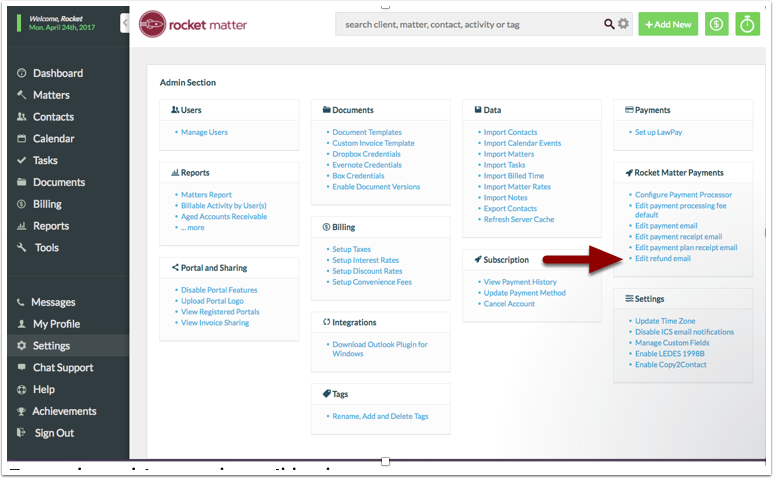 Prev: How to 'Edit a payment plan receipt email' template. 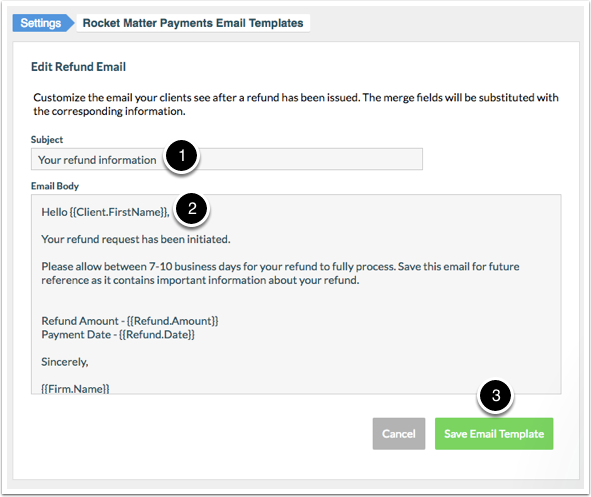 Next: How to issue a refund with Rocket Matter Payments.